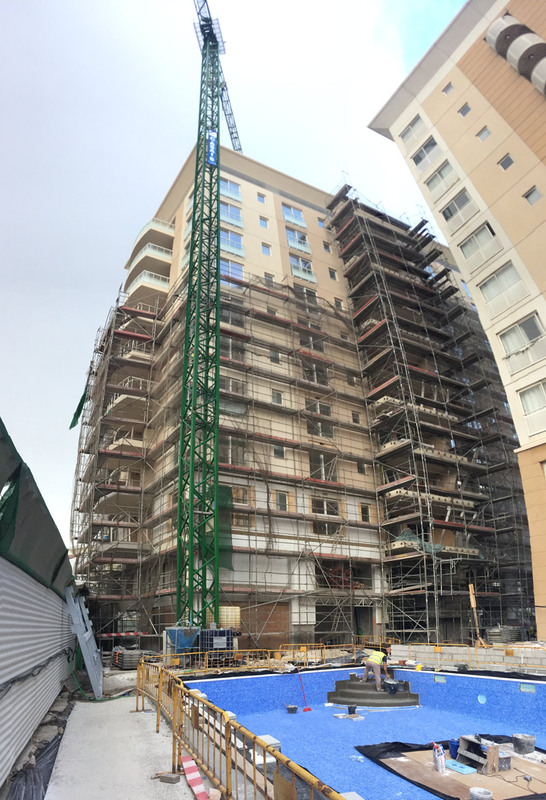 As the building is nearing handover stage, we are very excited to announce that contractors estimate that the overall progress of the building is just over 80%. There has been much activity onsite, with all internal partitions, tiling and stairs completed. Externally the buildings facade is really coming together, with windows installed across all floors except level 0 + 1, and wood effect features now being installed in the balconies. Painting is also in work across the building, whilst the scaffolding has been removed down to level 6 (if you happen to be in Europort Road make sure to take a look for yourselves!). On the ground floor the swimming pool is also nearing completion, with most of the tiling in place.